Puregold Priceclub Inc. will hold its biggest offering as part of the annual Tindahan Ni Aling Puring (TNAP) Sari-Sari Store Convention. This will be on May 20 – 24 at the World Trade Center at Pasay City. The 5-day convention is packed with a lot of unlimited savings to every members of Puregold’s TNAP program. One of the highlights of the event is the launch of Puregold’s Memebership Card that boasts of improved benefits for its members. Lifetime membership to TNAP is free of charge to everyone who wishes to be part of the program. Members of TNAP can earn points from every item purchased in Puregold. Members may earn one point for a minimum purchase of Php200.00 and one point is equivalent to Php1.00. Accumulated points are valid for two years and members can redeem points directly from the cashiers of every Puregold branch around the country. Cardholders can also access other exciting rewards and exclusive events. There will also be performances from Divine Diva Zsa Zsa Padilla; Voice Of Asia grand winner Dessa; popular actors KC Concepcion, Maja Salvador, Julia Barreto, John Lloyd Cruz and Diego Loyzaga; comedienne Giselle Sanchez and comedians Ramon Bautista, Donita Nose, MC, Lassy, Chad Kinis, and Negi; rock icons Kamikazee, Mitoy & The Draybers, and Parokya Ni Edgar; rapper Gloc 9; and Mr. Pure Energy Gary Valenciano. 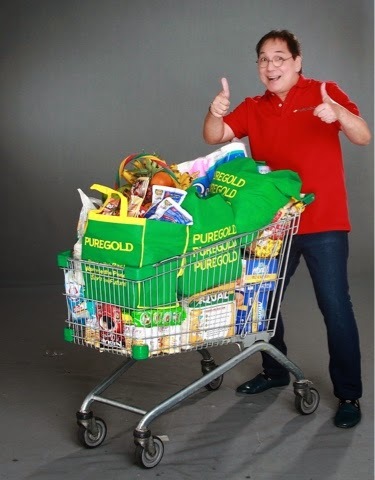 For more information visit Puregold official website at www.puregold.com.ph, like Puregold on Facebook, follow @Puregold_PH on Twitter, and follow @puregold_ph on Instagram.